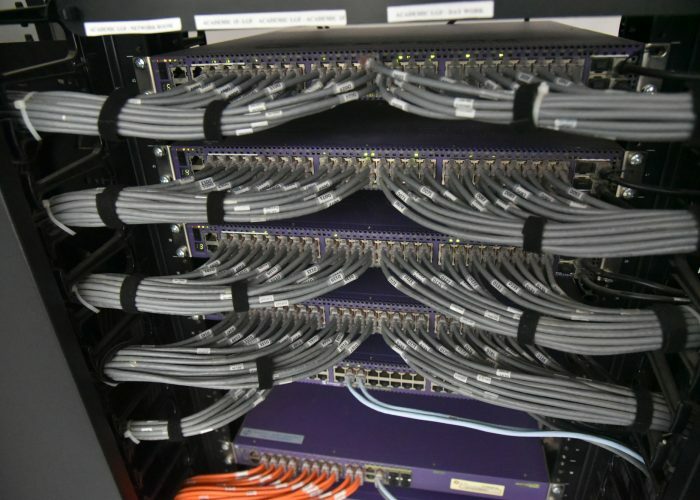 The ICTS network infrastructure is a vast web of cables, switches, and wireless access points that serve one purpose: to get the information and files you need to use the computer as quickly as possible. ICTS’s fiber backbone designed on hybrid topology which includes start and ring topology. ICTS Campus network architecture is a converged architecture to carry voice, video, and data; It is a hierarchical topology which segments the network into building blocks simplifying operation and increasing availability. This approach creates a flexible network on which new services can be easily added without a major redesign. It also delivers separated traffic, balances load across devices and simplifies troubleshooting. Access layer provides an access control boundary and delivers network connectivity to the end user on campus with 1 GbE speed. Distribution layer manages the distribution of traffic from the core to multiple access layer switches on 10 GbE fiber backbone. 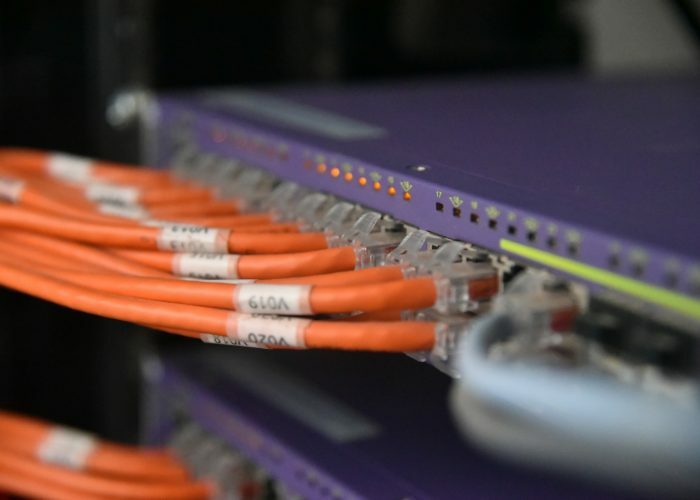 Core layer provides secure, reliable connectivity between the distribution layer and WAN routers. ICTS believes in keeping the students/faculty up-to-date with the latest and greatest. The campus is thus completely Wi-Fi enabled & boasts an extensive internet bandwidth. 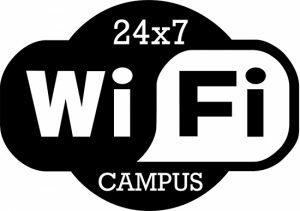 Registered students/faculty are given individual Logins to access the campus internet services on any of their registered devices. Internet leased line from Bharti Airtel Ltd.
Wireless Internet leased line from Tata Teleservices Ltd.